Equipt mobile mechanics will service all major brands. If your car is brand new and still under warranty, we can service it without you having to cancel your manufacturer’s warranty. 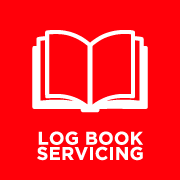 Logbook servicing is important for ensuring your new car warranty as well as to maintain and protect your vehicle. If we come across any additional issues that require attention or replacement, then we will be sure to contact you before taking any action. You can be sure that we will provide you with honest and helpful information so that you can make an informed decision. When we complete you car service we will let you know exactly what we did and stamp your service book to keep your warranty intact. We promise to ensure your car is safe, well maintained and running efficiently. Remember that it is important to regularly service your vehicle, as early detection of any problem is vital. Regular servicing will save you money, keep you safe and maintain your vehicle is good working order. Main dealers are generally overpriced, so be sure to deal with us for all your service needs. A poor brake fluid can adversely impact on braking performance. Flushing the brakes removes any old fluid from the entire vehicle system. We recommend brake fluid flushing every two years. It is important your vehicle’s suspension is check regularly as it is a vital part. The plus side is that we can repair you suspension needs quickly and efficiently. Our extensive experience and knowledge allows us to repair any faults that you experience with your suspense. We can repair or replace suspension parts. A brake check is a very quick process. Brakes must be checked on a regular basis in order to keep you and your passengers safe. We will undertake a thorough inspection of your vehicle’s entire brake system, including but not limited to lining condition, rotors and drums, calipers and wheel cylinders, brake hardware, hoses, lines and master cylinder. When it comes to determining if any component of a brake needs replacing then this will depend upon age, mileage and wear and tear. We take care of all brake replacements. We remove the pads and inspect the rotor(s) for excessive wear of disc brakes. When rotors are worn out, they should be replaced or machined to a flat surface, afterwards we install new pad. Car transmissions are very complex and modern modeled cars have sophisticated hydraulics and computer controlled components. Automatic transmission problems should not be ignored and should not be assumed that the problem is actually the transmission. Computers receive information from numerous sensors; process the information and signal/operate the transmission. Generally the problem is one of the sensors, an electrical or even system ground. We serious and repair all domestic and foreign automatics. We aim to get you back on the road as soon as we can. Gearbox problem? We replace and repair gearboxes. Our specialist mechanics will help you to make the right decisions and take of all the work for you. We repair broken gearboxes and fit new or fully reconditions gearboxes. Clutch issues? No problems, we are here for you. We have a same day clutch fitting service and we supply the part for whatever car model you have. Our clutches are affordable and have a guarantee. Most modern vehicles are controlled by a computer or Engine Control Module, which helps ensure the engine and transmission operates efficiently. It is important that engine settings operate efficiently. Engine setting should be regularly monitors and adjusted to reflect temperature, speed, and altitude and road surface changes. We are the specialist in the replacement of clutch fluid & broken clutch cables your car’s clutch repair will be done in no time. With our professional trained mechanics you will be back on the road in to time. If you breakdown we promise to come to your rescue. If you break down for any reason, maybe you have a flat battery, you car is not starting or you get a flat tyre then just give us a call! We will come to your roadside assistance, assess the situation and determine how we can help you. If we cannot resolve the issue at roadside, we can organise a tow truck to come and pick up your vehicle.